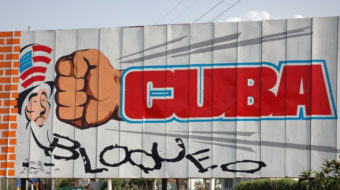 Cuba to UN: End the blockade! September 10, 2018 By W. T. Whitney Jr.
October 14, 2016 By W. T. Whitney Jr. 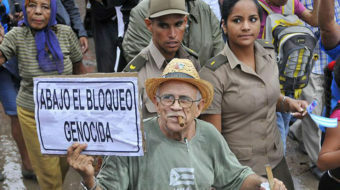 The U. S. blockade has existed for 54 years. Yet its end remains a dream. 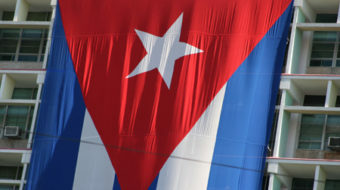 In a city known for its hostility toward Cuba's socialist government, Cuban Americans met March 15 to talk about normalizing U.S. relations with the island. It was a noteworthy development. We can do it! Let's get this done this year! 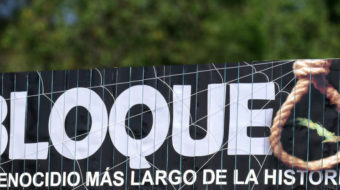 ¡Viva la Revolución Cubana! 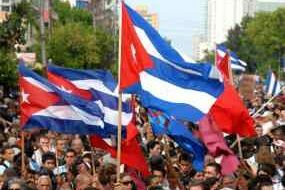 ¡Viva Cuba Socialista!